・Clock output at frequency of generator signal,approx.400mV(when terminated into 75Ω),BNC jack. ・The STS-3signal consists of one internal STS-1 tributary signal with the remaining two tributaries filled with UNEQ. ・One selectable STS-1 mapping is included in the basic instrument.Other mappings can be added as needed. ・The various mappings are described along with the options. ・Generation of pointer actions at the STS-1 and VT levels simultaneously. ・The content of all bytes with the exception of B1/B2/B3 and H1 to H4 is programmable with any byte or a user defined byte-sequence p in min in n (p frames in m frames and the entire sequence repeated n times)can be inserted. ・See ANT-20 Optical Interfaces data sheet fordetails. ・The ANT-20 demultiplexes one selectable STS-tributary from STS-3 and feeds it to the internal processor for evaluation. ・Automatically sets the ANT-20 to the input signal.The routine searches at the electrical and optical interfaces for the presence of standard asynchronous and STS-N/OC-N signals(GR-253,ANSI T1.102)and the payload conternts in channel1. ・The SCAN function permits sequential testing of all VT1.5 or VT2 channels in a SONET signal.The ANT-20 receiver checks for alarms in the receive signal ,the SONET stucture and all channels and for synchronization of the selected test pattern entered in a matrix.the generator runs simultaneously and can be used to stimulate the device under test. ・The TROUBLE SCAN function permits sequenctial testing of all VT1.5 or VT2 channels in a SONET signal.The ANT-20 receiver checks for alarms in the receive signal ,the SONET structure and all channels.The results(OK/not OK)for each channel are entered in matrix.Adetailed alarm history can be displayed by selecting a channel from the matrix.Only the receive channels are altered suring a TROUBLE SCAN. ・Channel shifts in the payload may occur when measuring complex network elements,depending on the configuration of the device under test.The SEARCH function permits rapid automatic location of the test channel(VT1.5 or VT2 with defined PRBS)in the payload of a SONET signal,The ANT-20 receiver checks for alarms in the receive signal,the SONET structure and all channels and for synchronization of the selected test pattern in all channels.The results (OK/not OK)for each channel are entered in a matrix.An OK result indicates that the corresponding channel contains the signal searched for.Only the receive channels are altered during a SEARCH. ・The deviation of the input signal clock frequency from the nominal frequency is displayed in ppm. 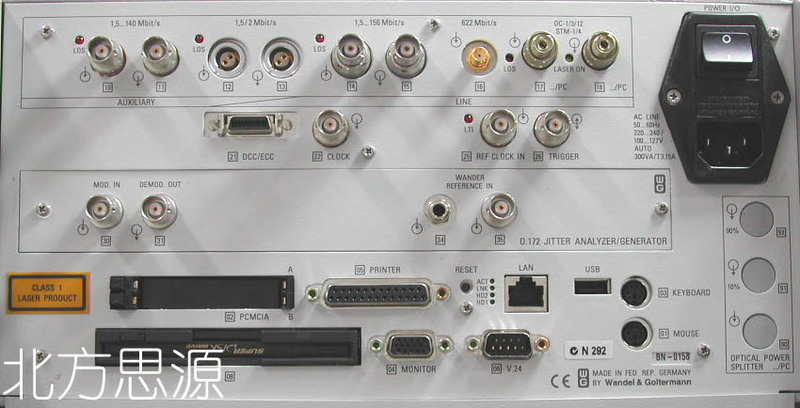 ・Dlay measurements are used for aligning satellite hops and testing the maximum permitted delay times for storage exchange and cross-connect systems and for checking the loop circuits in regenerators. ・The ANT-20 measures the time taken to transmit the test pattern from the generator through the section under test and back to the receiver.the measurement is made on the test patterns in a selected channel,or in the tributaries(SONET;bulk signal or asynchronous),or on the selected channel of the lowest hierarchy level of asynchronous multiplex systems.To avoid ambiguities in the measurement,two measurement times are provided. ・The software runs on standard PCs and permits comprehen-sive analysis of stored ANT-20rsults.After loading the results,the ANT-20 settings surng the measurement and the stored results can be accessed. ・Zoom and filter functions allow detailed evaluations.The proceesed results can be exported in CSV format for importing into other programs such as Excel or Winword for producing documentation. ・ANT-20 is operated using the standard Microsoft Windows(TM)graphical user interface.Operation is menu-controlled using the trackball or optional touchscreen.A mouse can also be connected if desired. ・ANT-20 includes and applications library to which customer-specific applications can be added. ・All opplications are stored internally and can be copied to any other ANT-20 via floppy disk. ・Easy to use filter functions allow quick selection of the desired application. ・Monochrome LCD or color TFT. 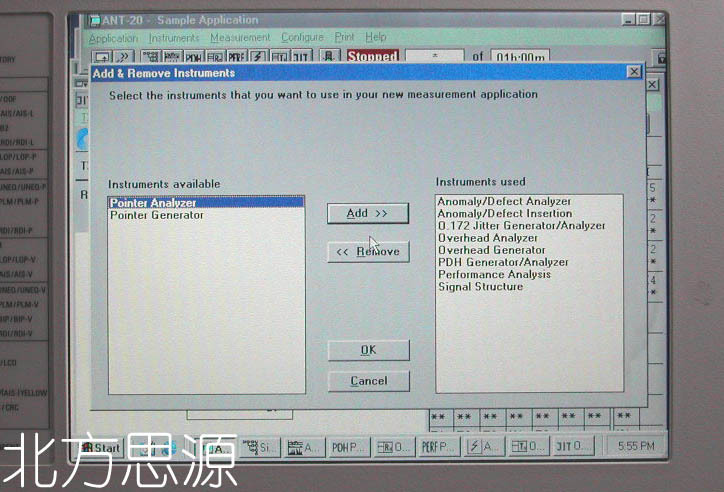 ・ANT-20 uses a Pentium PC as internal controller so that standard PC applications can also be run on the instrument. ・Full keyboard for text input,extended PC applications and future requirements.The keyboard is protected by a fold back cover.An additional cnnector is proviede for a standard PC keyboard. ・The PCMCIA interface provides acces to GPIB,LANs,etc.iva adapter cards. ・In the event of an AC line power faliure during a measurement,ANT-20 saves all data.As soon as the AC line voltage is reestablished,the AC line voltage is reestablished,the measurement is resumed.Previous rsults are retained and the time of the power failure is recorded along with other events.